Today the 10th episode of the topic Meet the Collector. 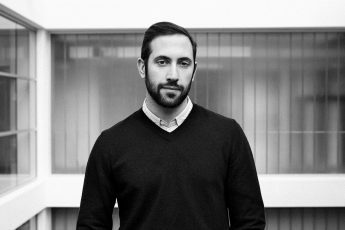 Meet the Collector is about passionate people with a focus on collecting. 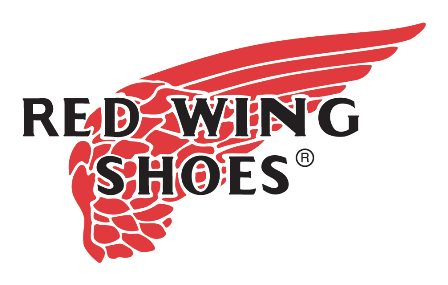 With this topic I will give you an insight in their special collection. 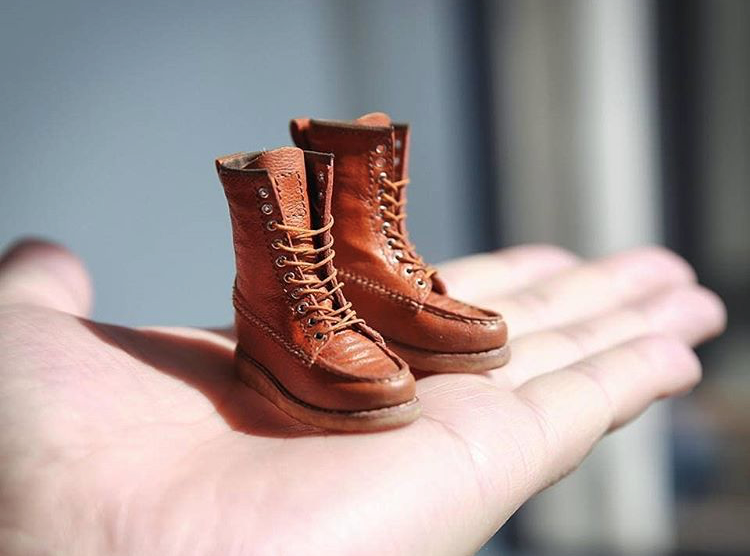 Collectors will tell their story behind their treasures, show their most rare and unique items and tell you all about the collecting thrill. 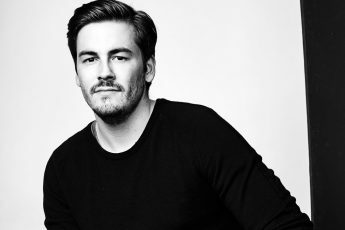 I’m very proud to show you the 10th collector: Brit Eaton in the topic: Meet the Collector. 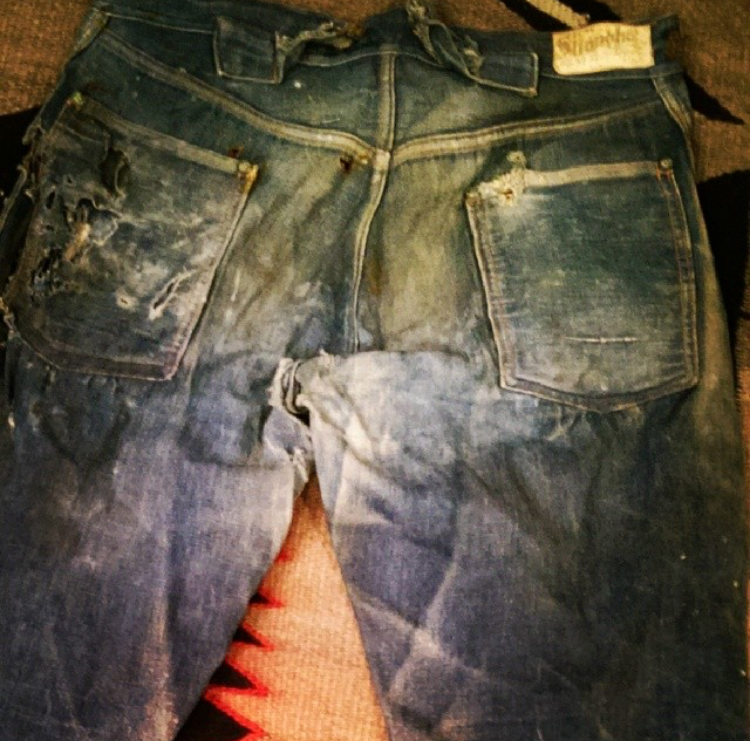 Brit Eaton is one of the true denim hunters in the world. 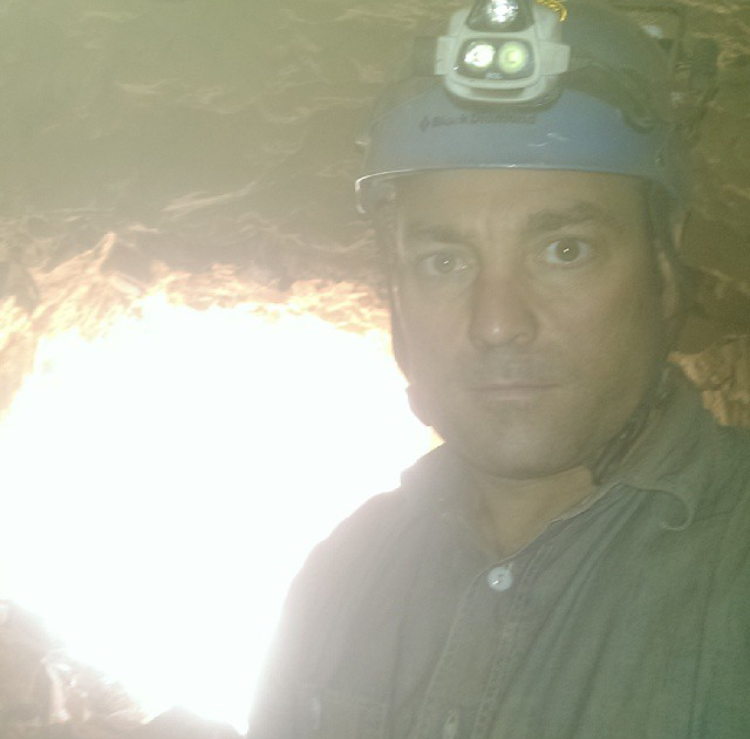 He explores old mines, abandoned houses and farms to discover the most unique and rare denim items. 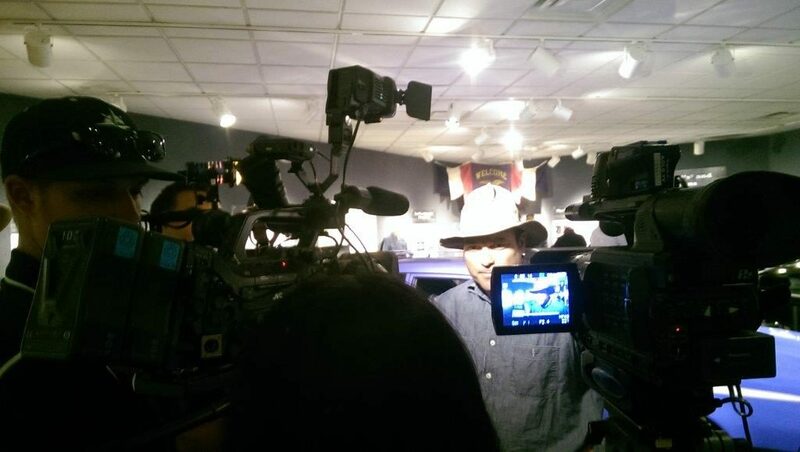 His knowledge, collection and treasures are so impressive and top notch in the denim community. Thanks for sharing your story Brit! Enjoy. 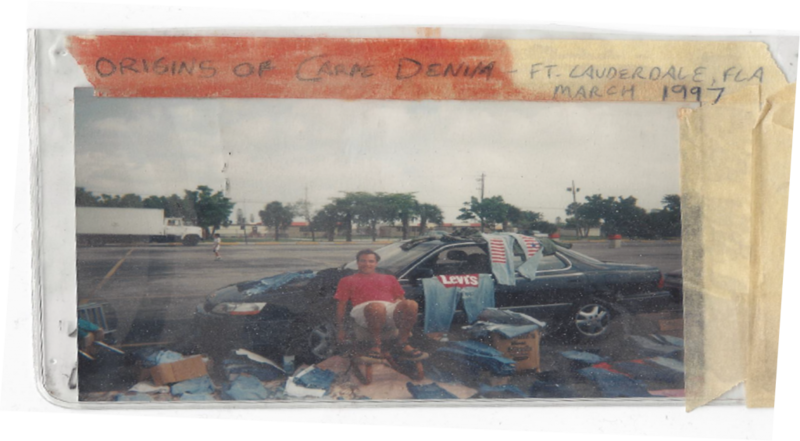 When I started in 1997 my car got repossessed right after this fleamarket picture was taken. I had to wear a backpack with rollerblades to the fleamarkets at 4am every morning. It was 3 miles to rollerskate! 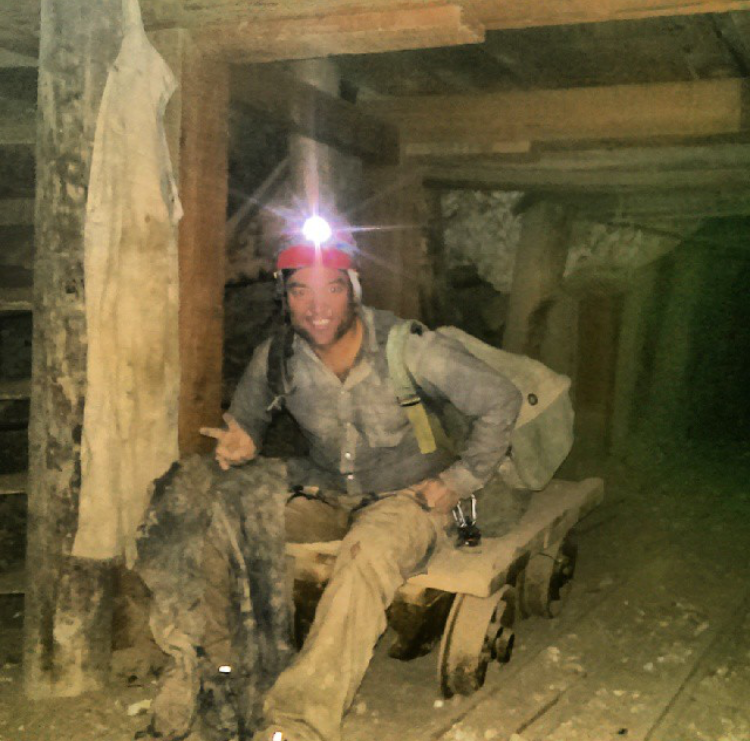 Brit Eaton on the hunt for old jeans in an old closed mine. 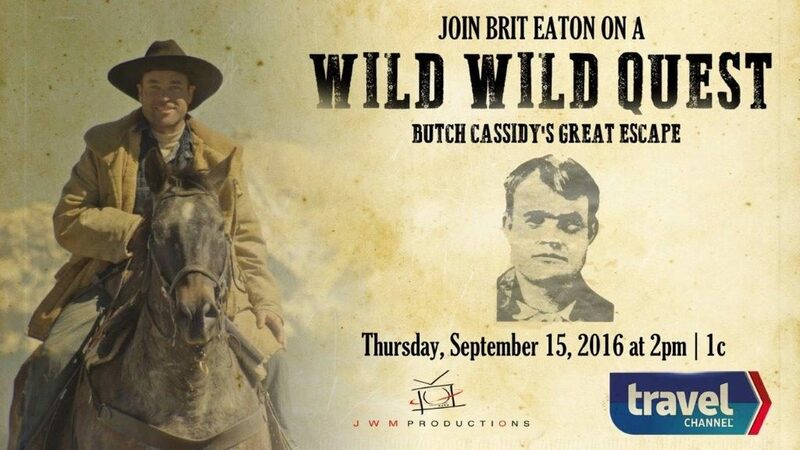 Brit Eaton in Wild Wild Quest tv show. 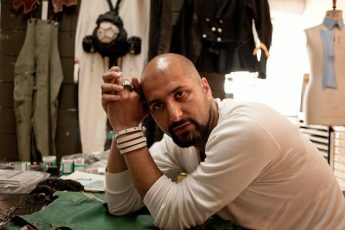 For early vintage its the brand A.B. 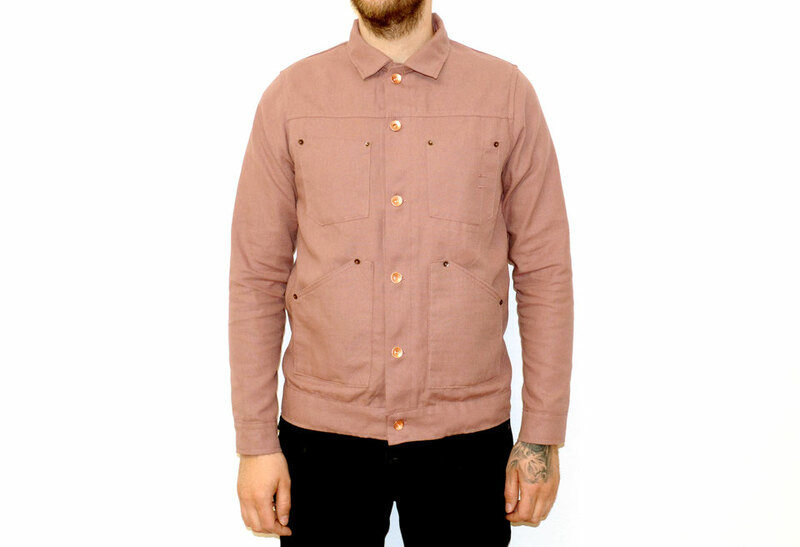 Elfelt & Company and other random early denim manufacturers from San Fransisco are my favorite. My favorite brand to wear is Carhartt. My favorite brand for modern vintage style is the Italian Blue Blanket jeans from Antonio di Battista (read more about Antonio di Battista in Episode #3 of Meet the Collector). 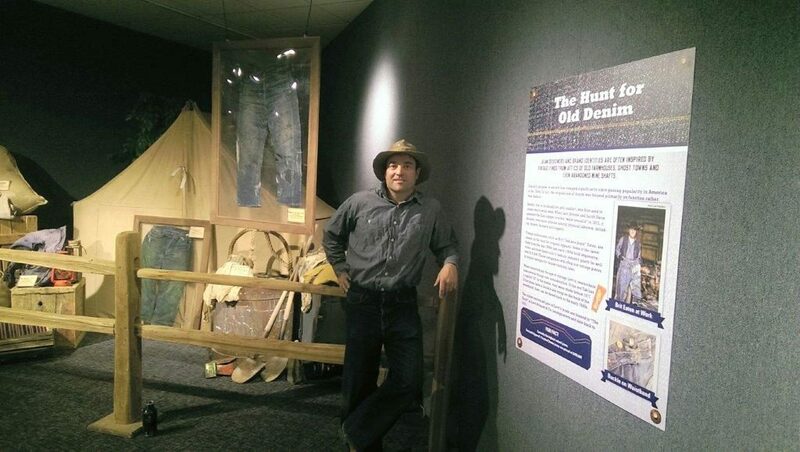 Take a look into the denimhunters life from Brit Eaton. In the video you see how Brit works, and you will see some of the very rare vintage items he found during his many hunting trips. Ha ha ha….I have really no idea! Underhill brand from circa 1900. 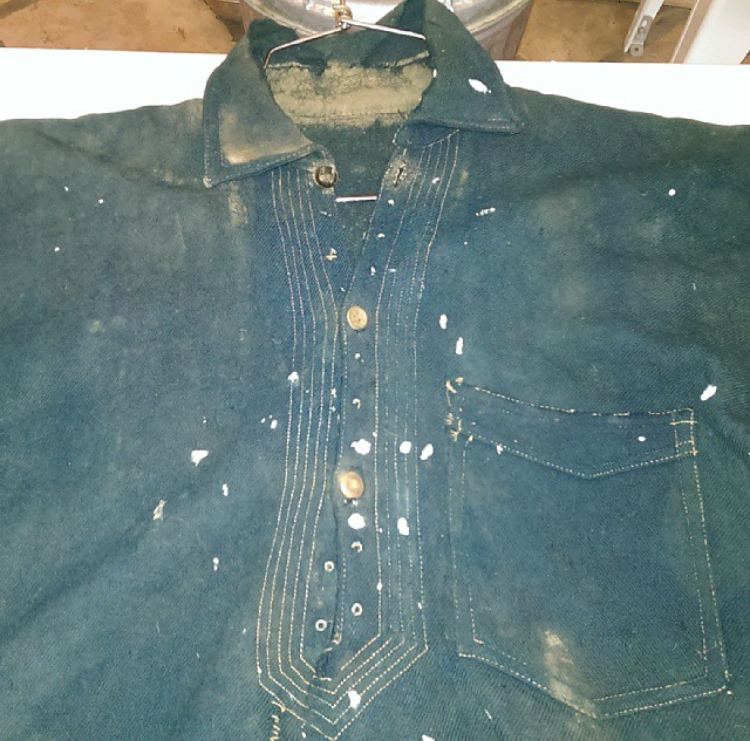 Miner shirt with candle wax from 1800’s. 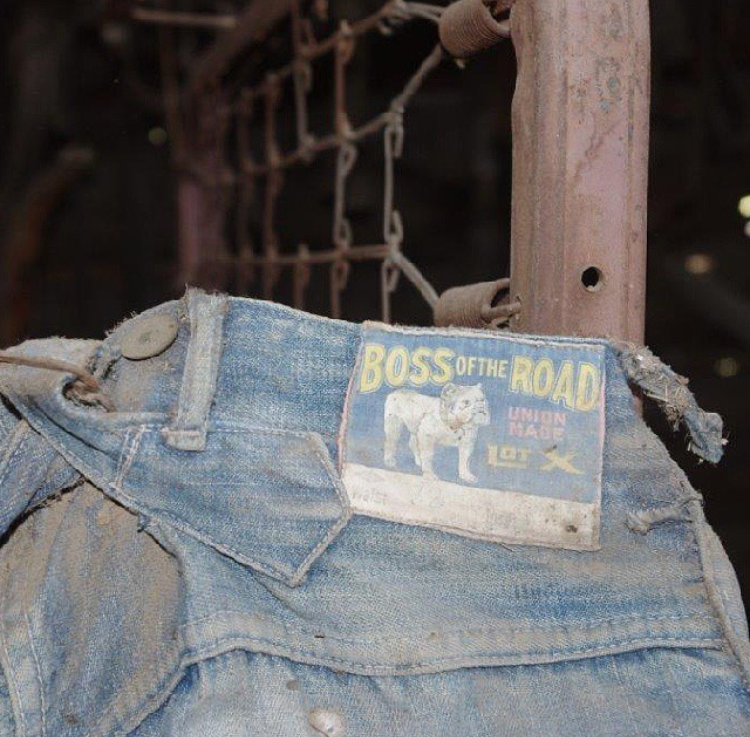 Very old Boss of the Road miners pants. 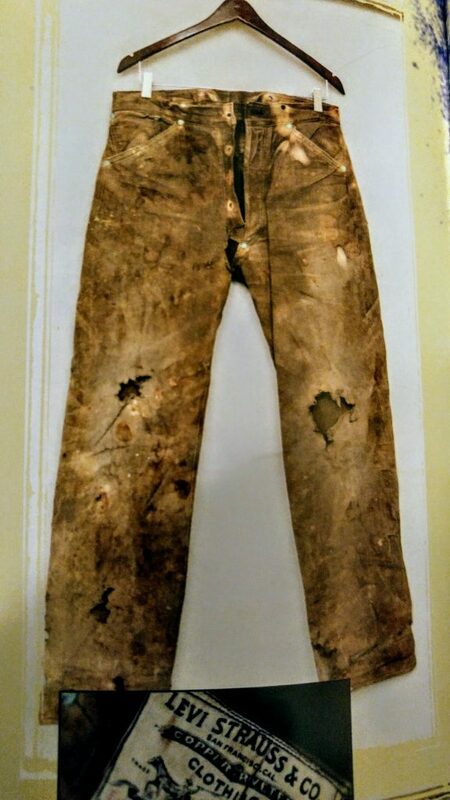 Stronghold pants from early 1900. 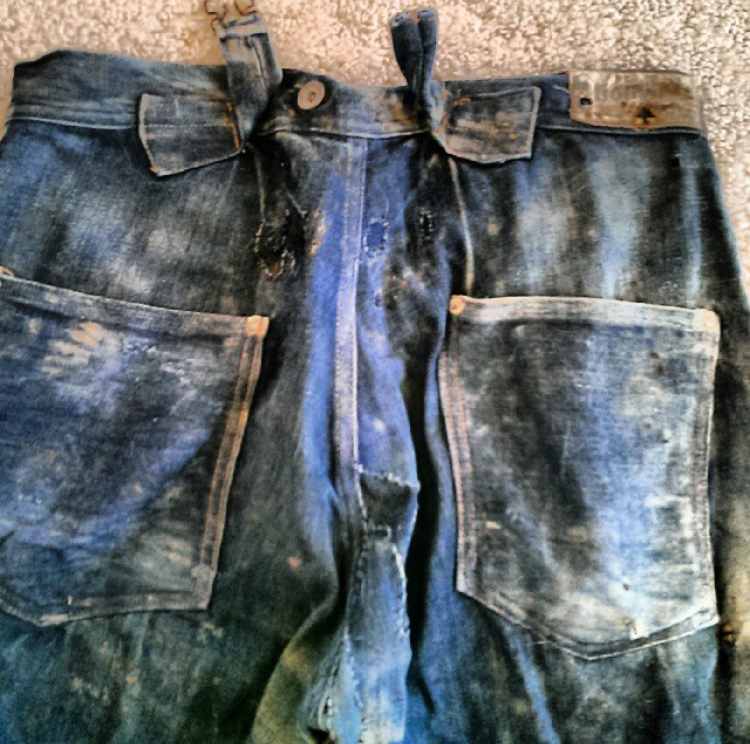 Stronghold pants from circa 1905. 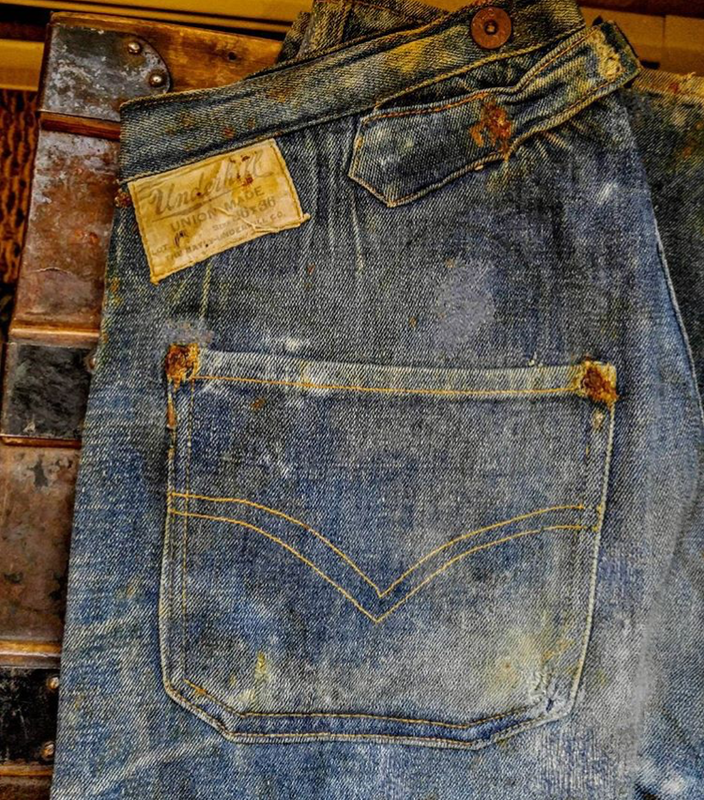 Backpocket from vintage Levi’s Jeans from 1900. 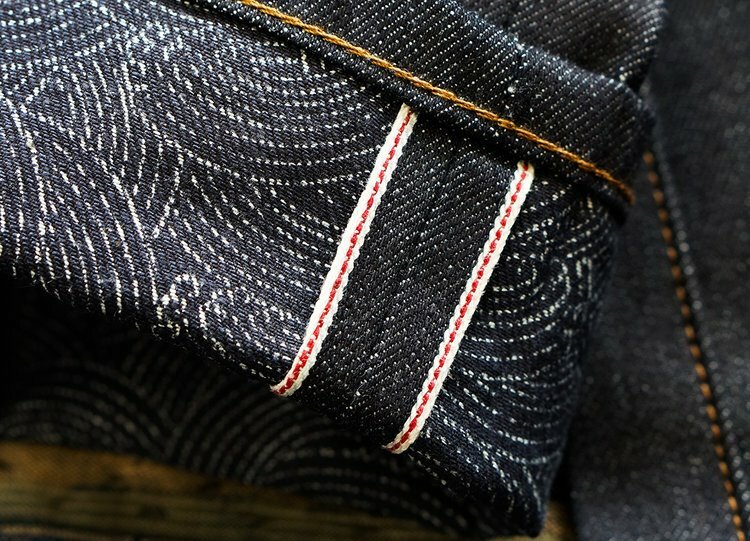 Pocket detail from early Boss of the Road jeans. Label from Boss of the Road pants. Watch the short docu about the life of Brit Eaton. What’s the best thrill about collecting? 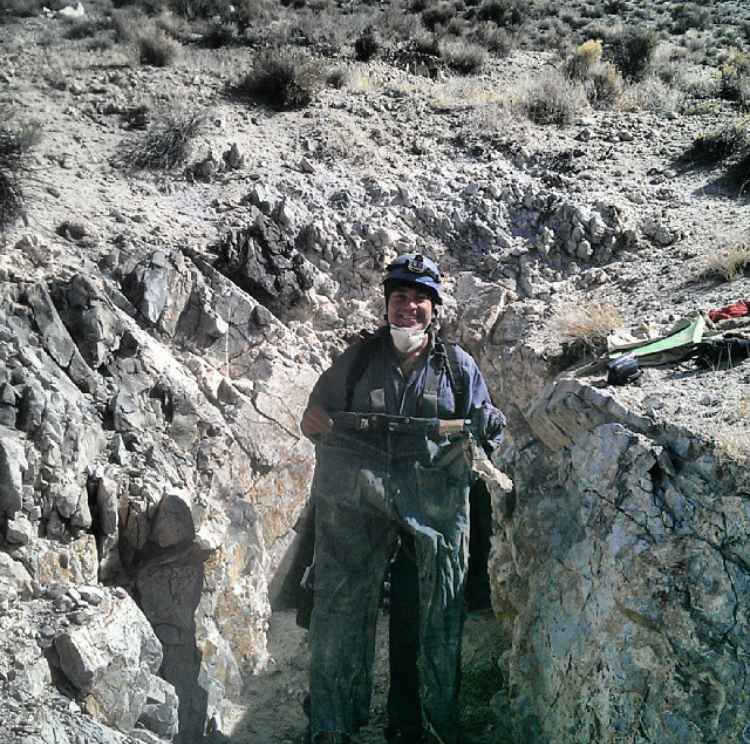 That moment when u know you are about to make a discovery, just before u actually find the item, when you have reached the point of no return, it is there, you know it, and then the anticipation. 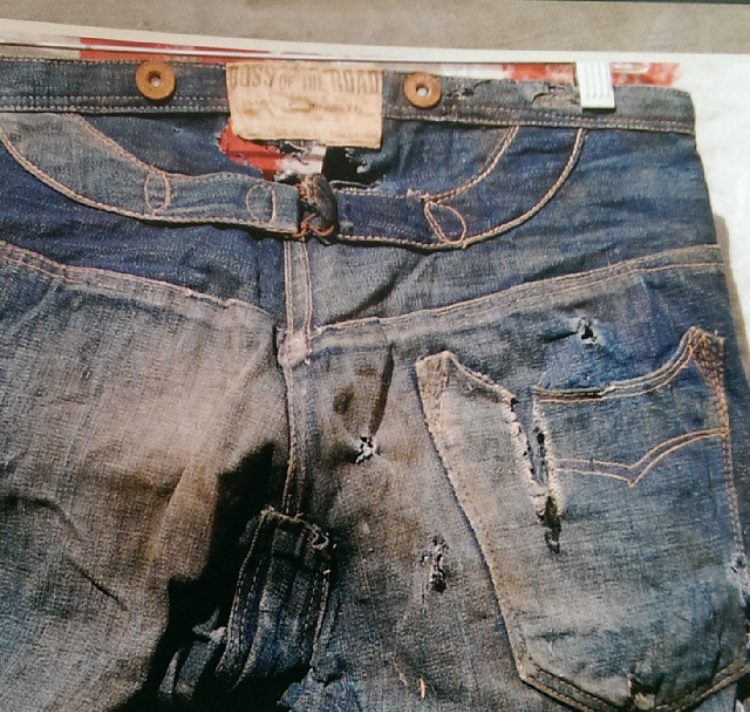 Brit Eaton found an original Levi’s 501XX jeans from 1901 in an old copper mine in Sierra Madre, Mexico. Right now my favorite item would be my 1880’s tool pocket from Levi’s. Got this pants recently so the joy of discovery is still fresh! 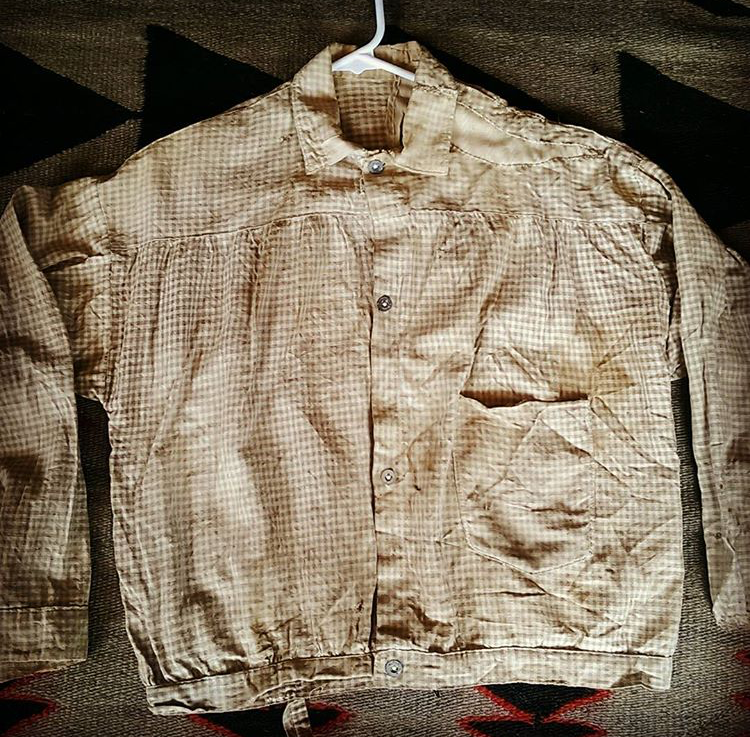 Original vintage 1880’s tool pocket from Levi’s. 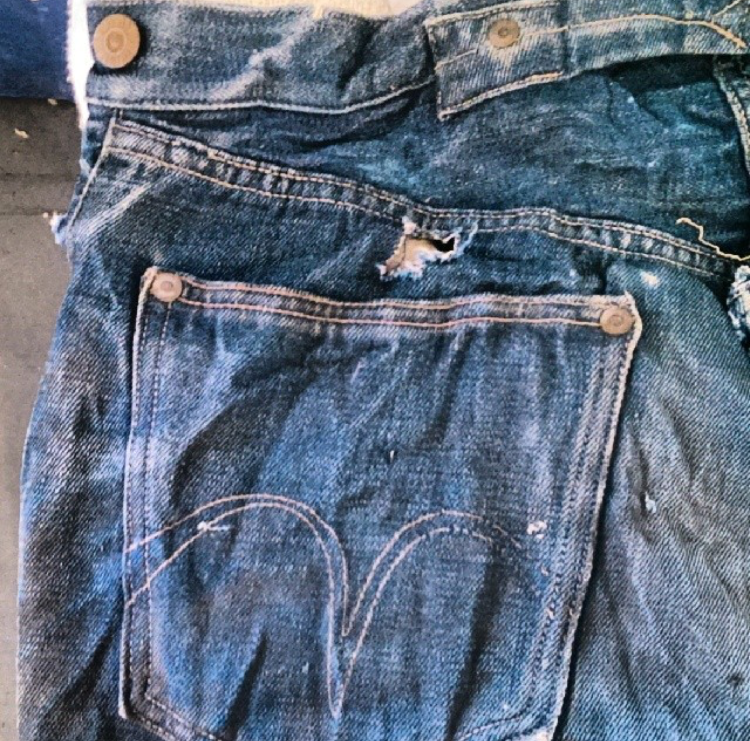 This is a Levi’s waist overalls from circa 1905 – 1915. This is the first item that I decided to keep and not to sell as soon as I could for money to buy food and stuff. This was the start of my collection in 2002. 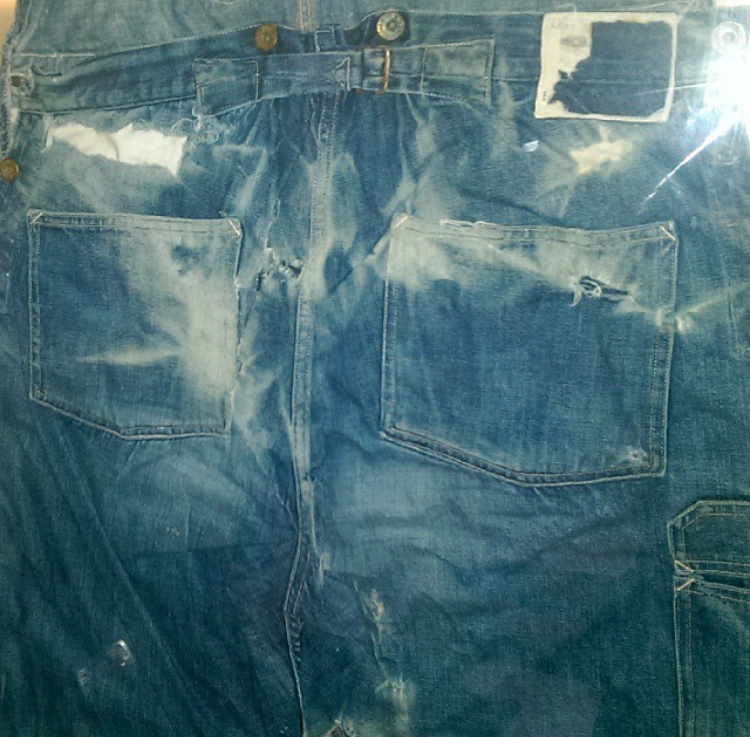 Levi’s waist overalls from circa 1905 – 1915. 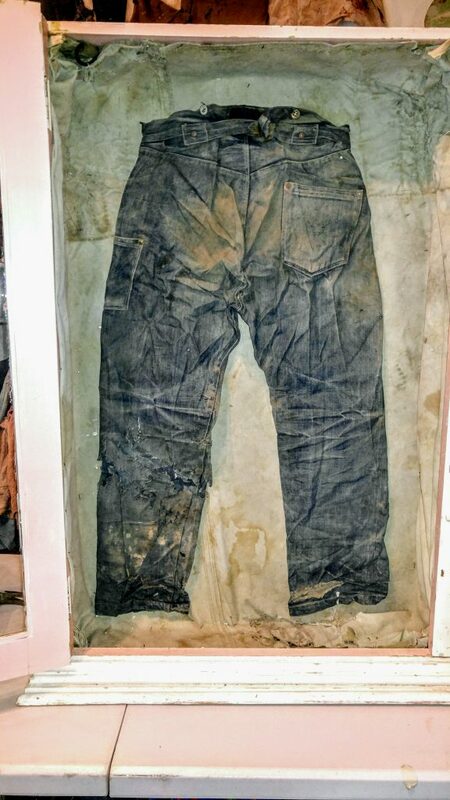 This ONLY KNOWN PAIR of original black Levi’s that was found while hanging 300 feet down a mineshaft on a rope. 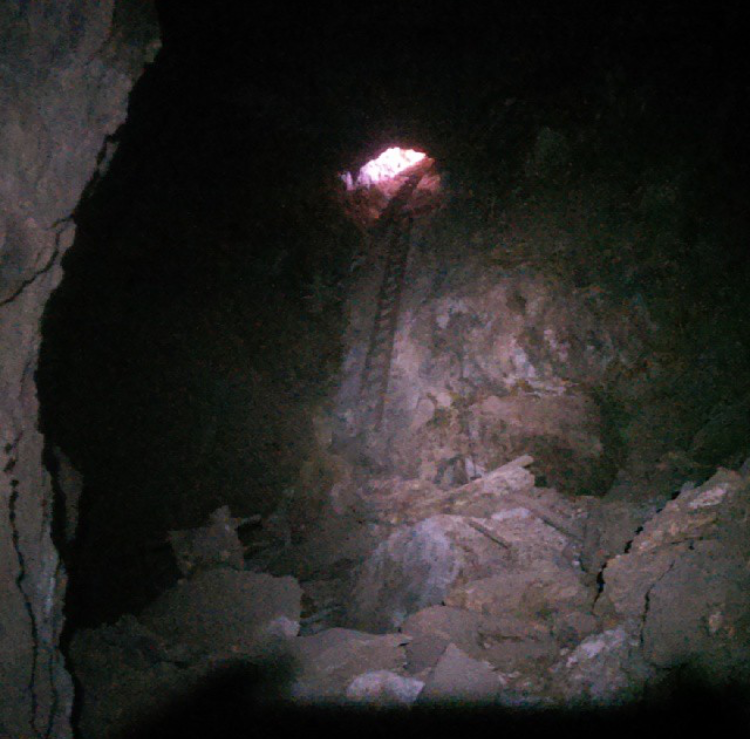 The last 75 feet of the shaft was completely destroyed so loose rock and beams were poised to kill me at any minute. A really dangerous situation. 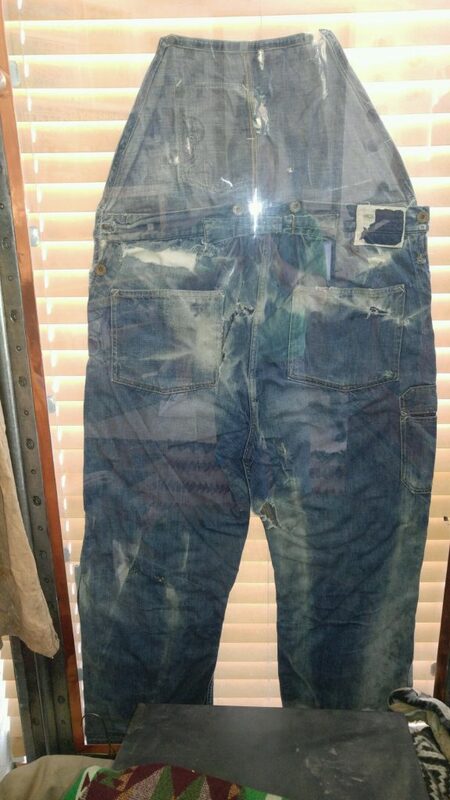 Only known pair of original black Levi’s. 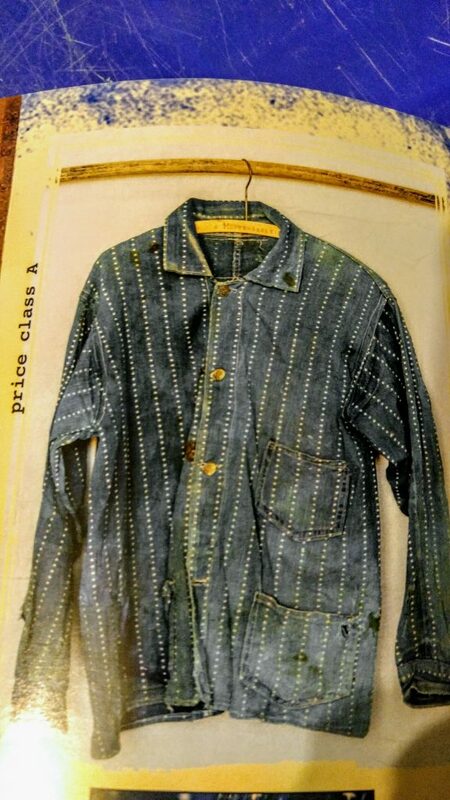 I sold this piece and I wish I could get it back, a Stifel star fabric jacket. ‘Been down so goddamn long, that it looks like up to me’ taken from the song ‘Been Down So Long’ by The Doors (Album L.A Woman from 1971). 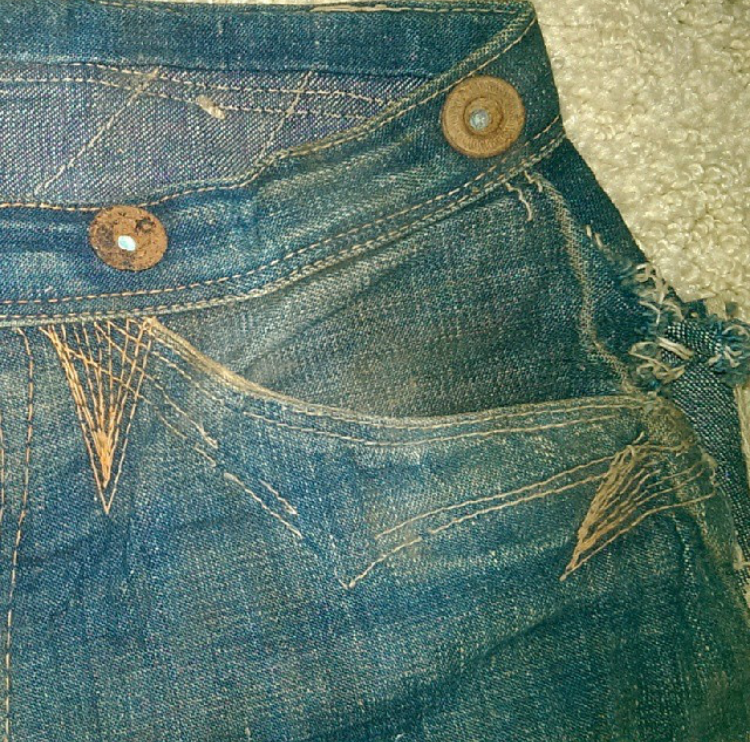 Fantastic post about one of the most dedicated vintage denim hunters!!! !